An apt phrase for March in Texas if there ever was one, with apologies to revolutionaries everywhere. No doubt this ditty was sung in the past week somewhere in Austin, Texas, but my focus is on verdant foliage in my spring (officially!) garden. With thanks to Christina of Creating my own garden of the Hesperides for hosting Garden Bloggers’ Foliage Day, spring has most definitely sprung in my home town. 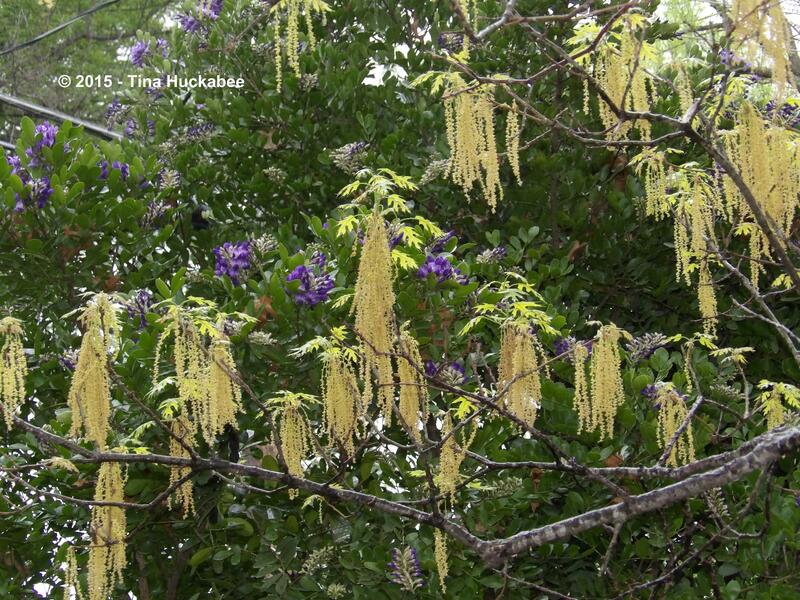 Let’s take a quick stroll through this Texas spring garden, shall we? The columbines are flowering, but their leaves are lush during fall, through winter and into spring bloom time. This little one is paired with a passalong daylily leaf, emerged from winter dormancy, which won’t bloom until early summer. And this group of columbines leads in a nice foliage vignette which includes a potted American Century Plant, Agave americana and Cast Iron Plant, Aspidistra elatior. 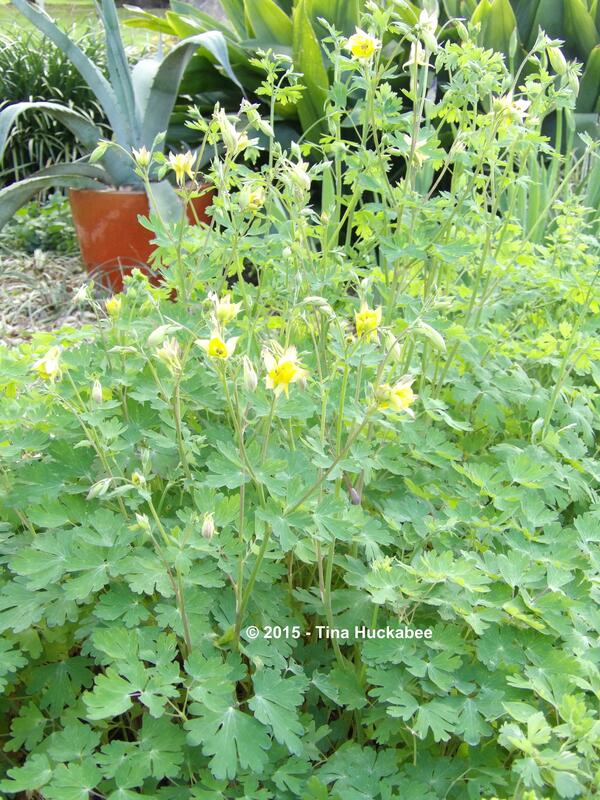 I grow only the native Texas columbines, the Aquilegia chrysantha and the Aquilegia canadensis because others will fry to a crisp in the Texas summer heat. 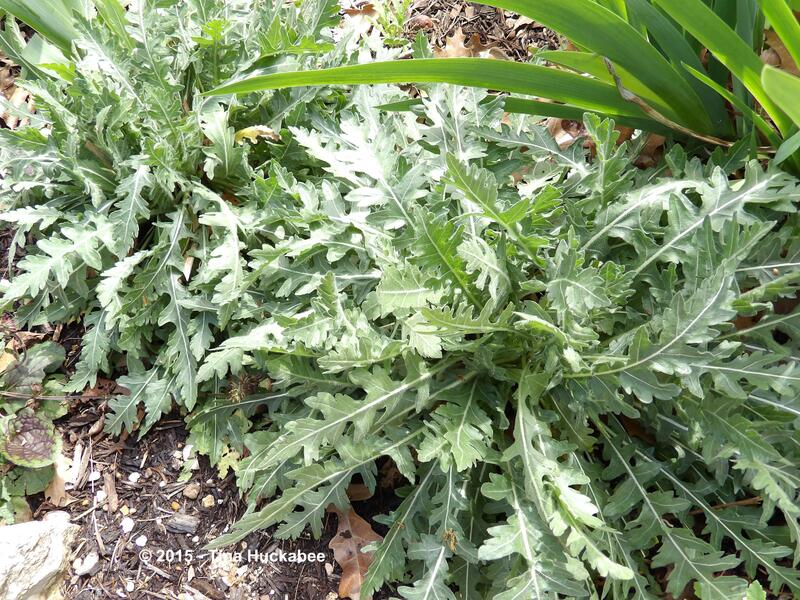 Engelmann Daisy or Cutleaf Daisy, Engelmannia peristenia, sports deeply lobed fuzzy, gray-green foliage. 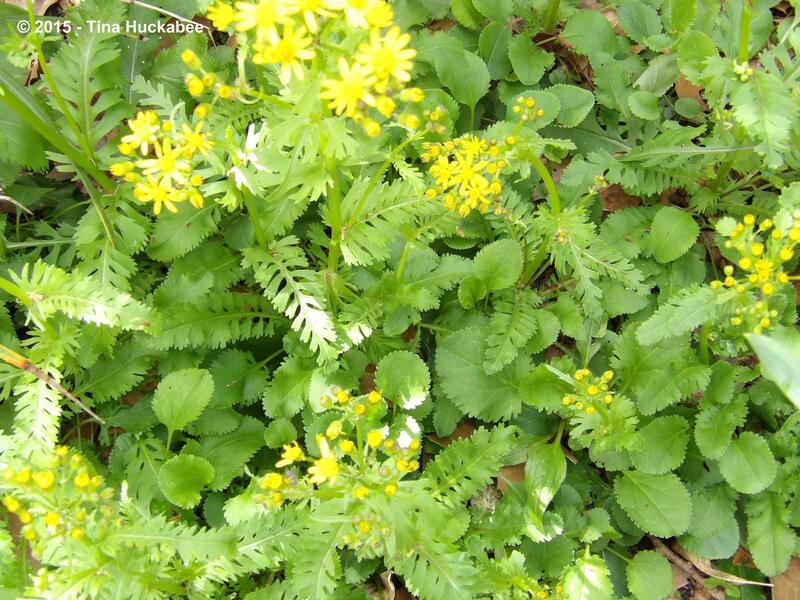 The bright yellow blooms will accompany the foliage later in the season. …and the foliage makes an excellent ground cover. 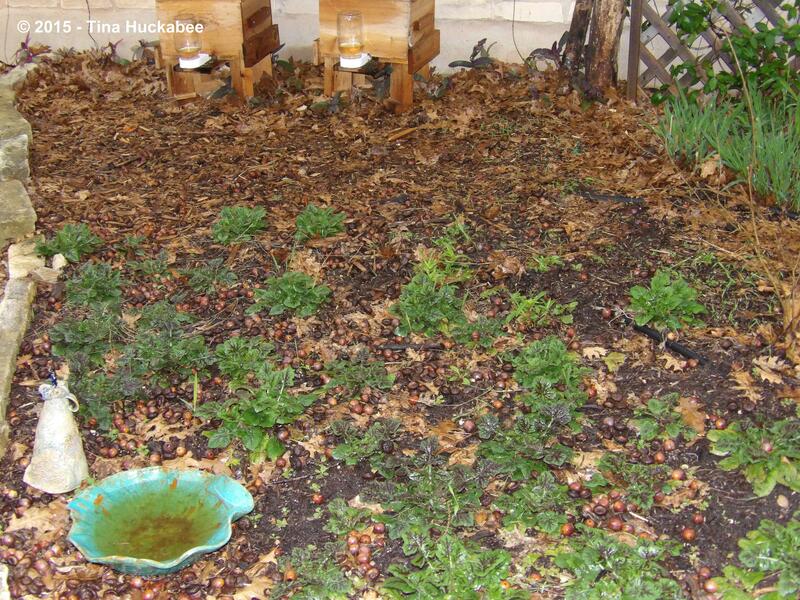 I planted Lyreleaf as a groundcover in the area where my honeybee hives are located. The plants withstand moderate foot traffic and we can place our beekeeping equipment on the rosettes with little negative impact, as long as the Lyreleaf are not blooming or setting seed. And once the blooms open, the bees don’t need to travel far for gathering nectar and pollen. 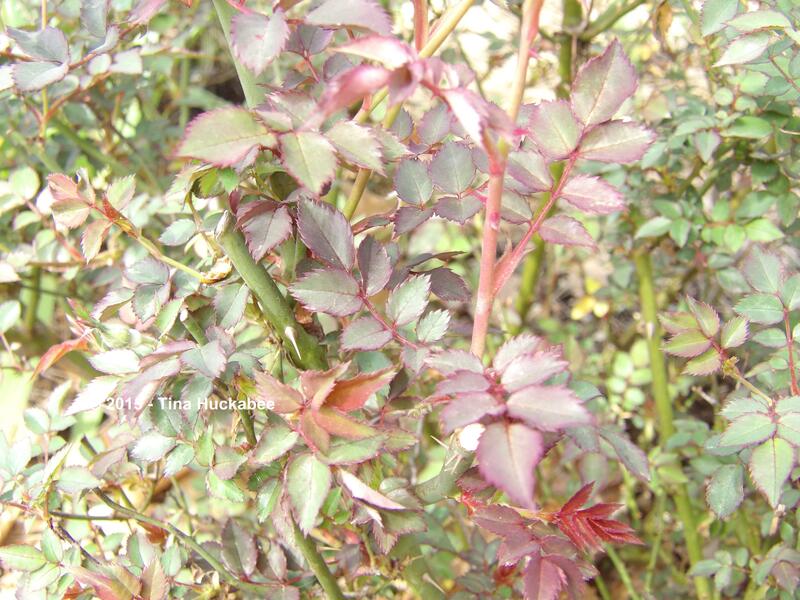 Glorious in burgundy rimmed foliage are the leaves of the Martha Gonzales Rose. There are currently only a couple of roses open, but I love the color of the tender, new leaves. 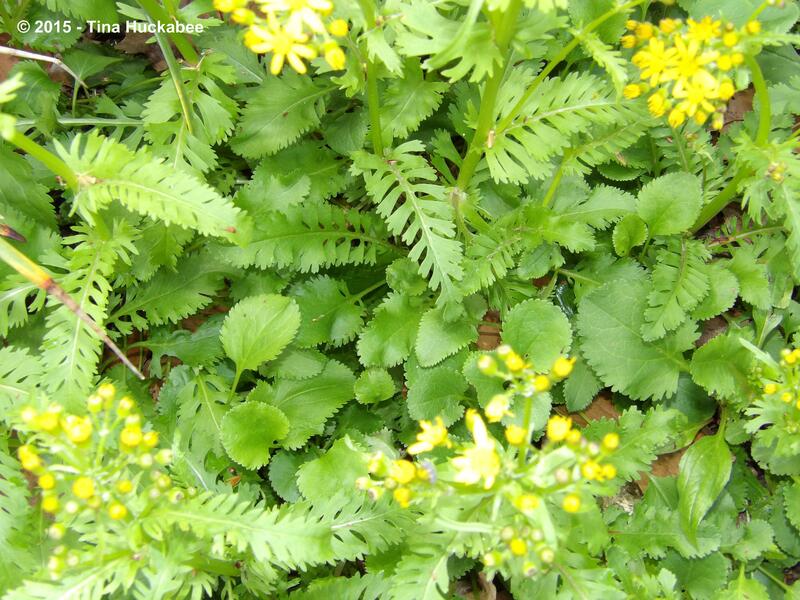 Golden Groundsel, Packera obovata, is in full blooming mode, but its foliage demonstrates a bit of a split-personality. 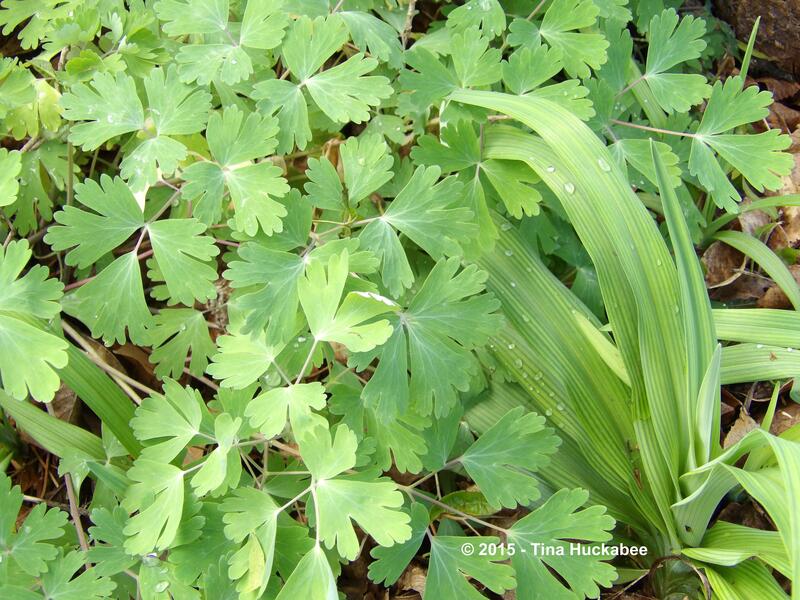 Most of the year, the plant acts as a low ground cover with ovate, serrated leaves hugging the ground. 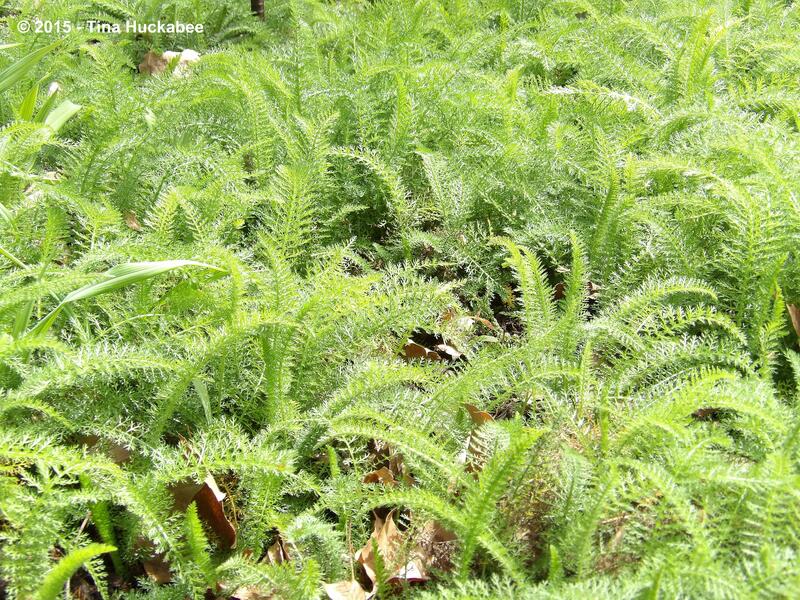 As the bloom stalks shoot upward to their flowering ends, the leaves along the stalk form lance-shaped and fern-like. One of my favorite plants for shade/part-shade is the White Yarrow, Achillea millefolium. It’s always lush, elegant and beautifully spring-green. 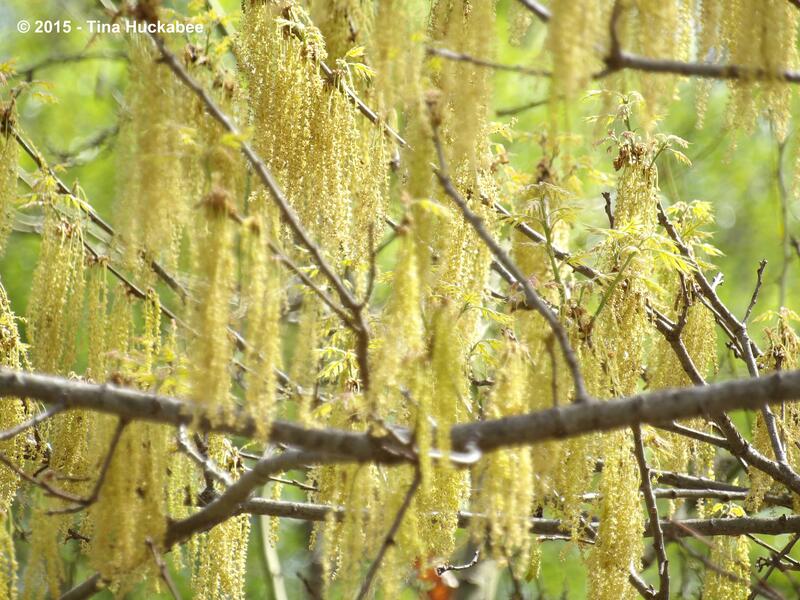 I know many people suffer oak allergies and I am sympathetic to their sniffling and stuffed-headed misery, but the pollen tassels on the Shumard Oak, Quercus shumardii, are golden and gorgeous. I look forward to seeing them every year. …accessorized with a tassel skirt, amidst a background full of the stunning native small tree, Mountain Laurel, Sophora secundiflora. The dark green leaves of the Laurel are punctuated by clusters of the signature fragrant, deep purple blooms. Nothing speaks early spring in Austin like that pairing! 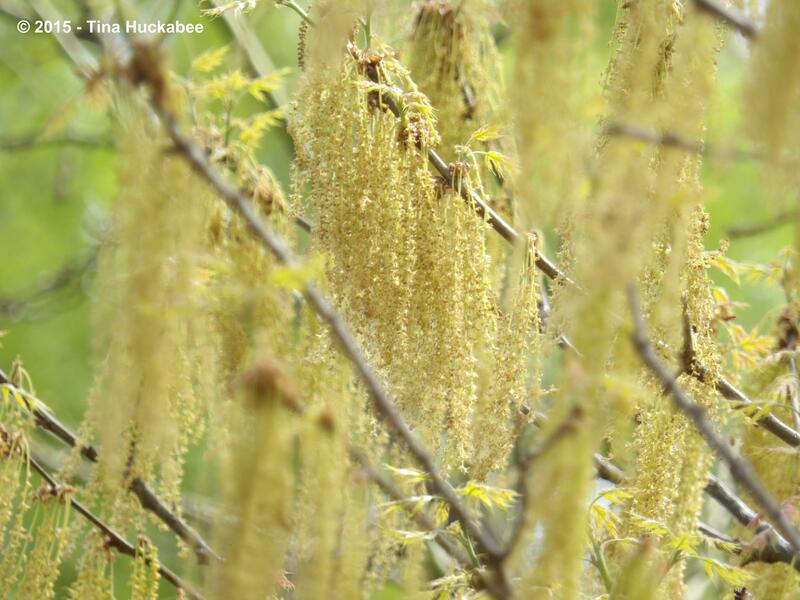 What foliage do you sing about this bonny March? 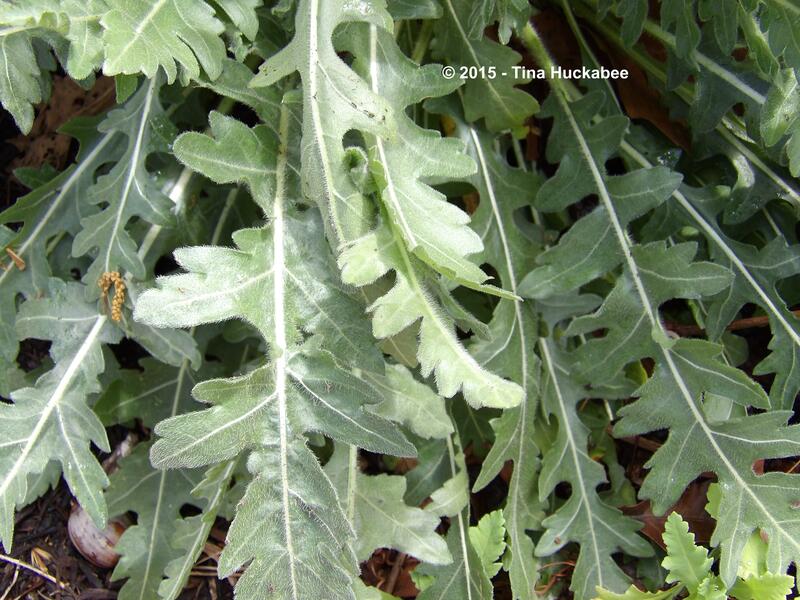 Have a look at foliage from gardens everywhere by visiting Garden Bloggers’ Foliage Day and happy spring to Northern Hemisphere gardeners and a good autumn to gardeners in the Southern Hemisphere . This entry was posted in Garden Bloggers' Foliage Day and tagged Agave americana, American Century Plant, Aspidistra elatior, Cast Iron Plant, Cutleaf Daisy, Engelmann Daisy, Engelmannia peristenia, Golden Groundsel, Lyreleaf Sage, Martha Gonzales Rose, Mountain Laurel, Packera obovata, Salvia lyrata, Sophora secundiflora by Tina. Bookmark the permalink. That last picture is one of the prettiest shots of oak flowers I’ve seen. It’s shaping up to be a lovely spring here. I know lots of people are complaining about the lack of sunshine, but I’m just fine with it. I think the lyreleaf sage would work quite well in a walkway situation like you’re describing. I have something similar and am mulling what plant/plants to let run wild there. Seedlings will pop up though, this salvia is nothing, if not prolific. I’ve never seen oak flowers like that; they look wonderful. Thank you Tina for joining GBFD this month, I love the foliage combinations you highlight. 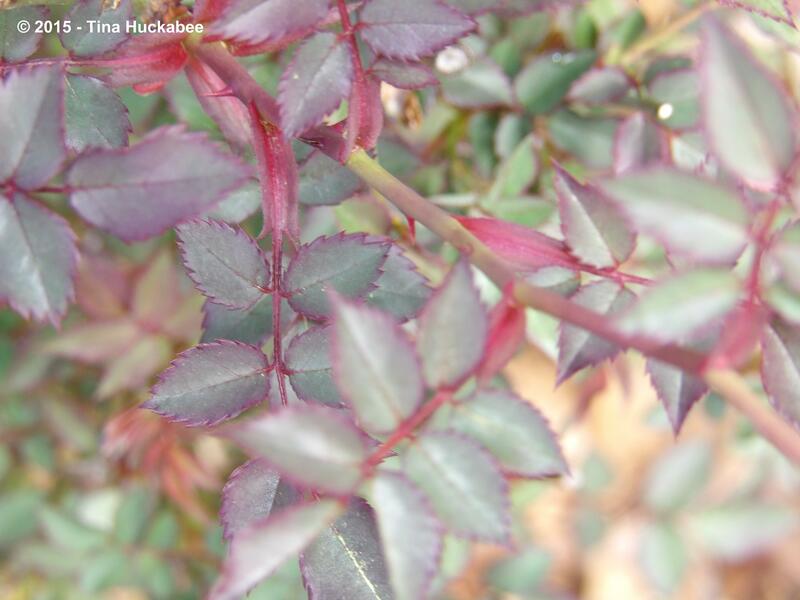 We often forget the interesting new foliage that roses exhibit. The oaks are beautiful this time of year. Actually, they’re great trees year-round. Thank you for hosting GBFD!! Lovely foliage and quite unlike what we are enjoying at the moment. 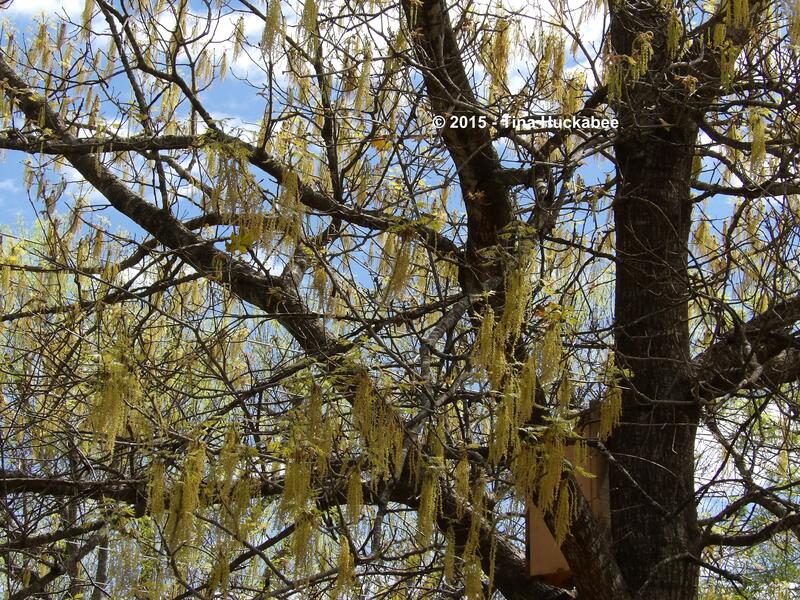 I have never seen anything like the tassels on the Shumard Oak. Beautiful. Fabulous foliage! How wonderful to have Columbines emerged and even blooming! 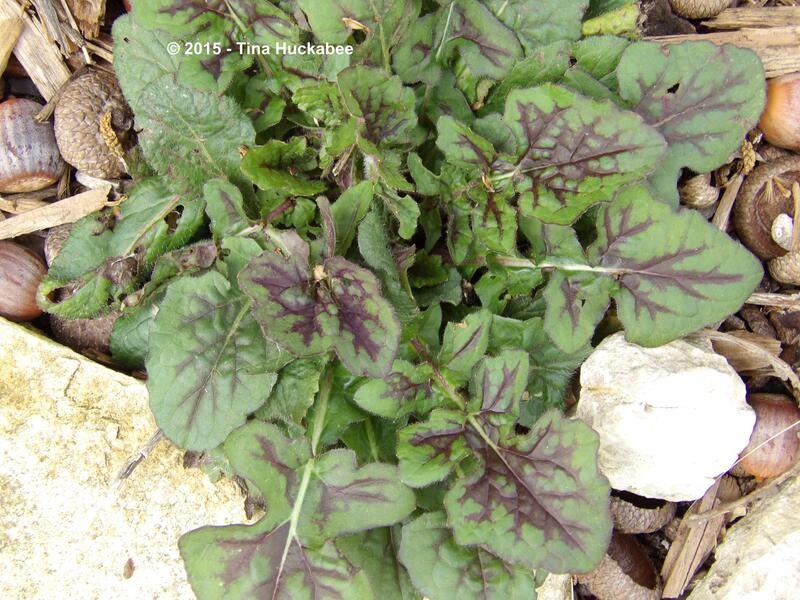 My favorites in this post (although all the plants are wonderful) are Lyreleaf Sage and Golden Groundsel. Plants with such interesting foliage and then blooms to boot are winners in my book! Great post! It’s coming, just a little longer….